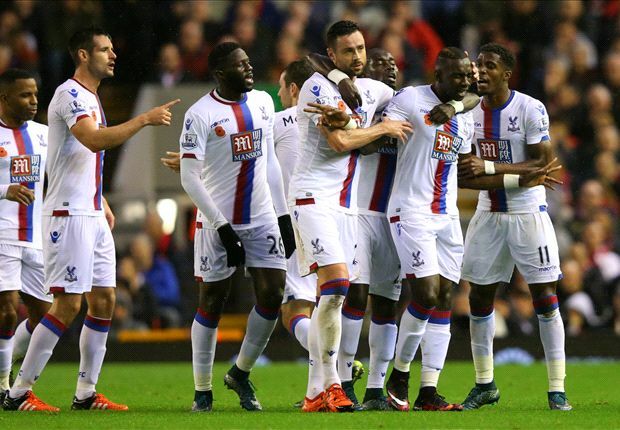 Liverpool suffered a narrow defeat against Crystal Palace in the match of English Premier League. Liverpool vs Crystal Palace match ended with 1-2 scoreline in English Premier League 2015.Scott Dann's header eight minutes from time earned Crystal Palace a 2-1 win over Liverpool at Anfield on Sunday as Jurgen Klopp suffered his first defeat since taking charge at Anfield.Dann sees his header from Cabaye's corner well saved by Mignolet, but the centre-half reacts quicker than anybody else to head the rebound into the top corner.Following victories over Chelsea and Rubin Kazan, Klopp's men go into the international break feeling the sting of defeat after Palace recorded its fourth away win of the league season. Full Time Score : Liverpool 1-2 Crystal Palace.